Five factsangkringan Jogja, angkringan is a meal that usually we can find in Jogja in particular, in the streets typing days..and night can also be encountered in areas that are already busy to aangkringan modern style as in the complex and the elite stalls no longer wore lagi.di grobag here we will discuss about five facts angkringan jogja, and angkringan also become a magnet for visitors faithful, not the prestige or something, but here we will find the facts waaaw brilliant and very different with eating places in jogja. 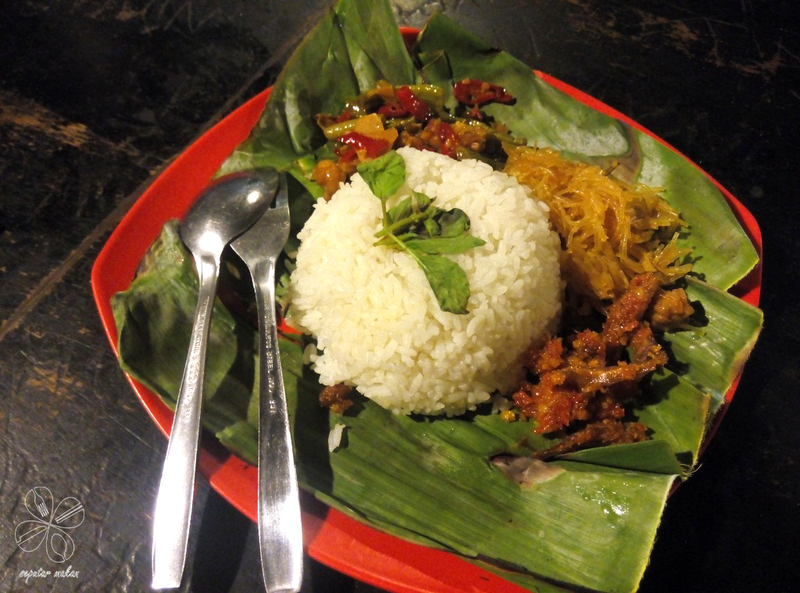 angkringan can not be separated by this one thing, the menu is definitely there in the menu angkringan and characterize khasnya.dengan price rates are quite affordable and can be considered cheap. at a price of 150 rupees, we've been able to get a pack of rice this cat. 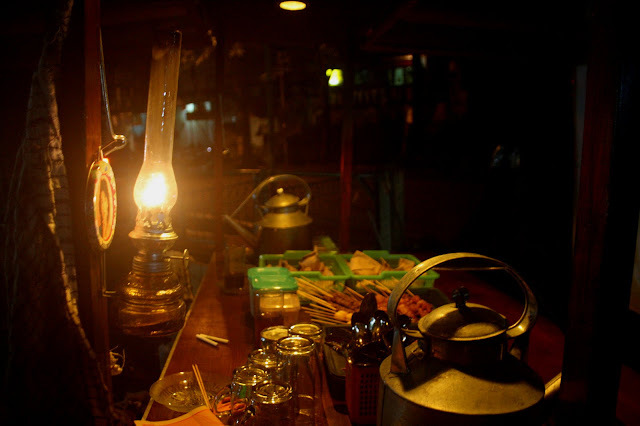 flashlight is essential processor in angkringan in addition used for lighting sentir also be one-on-one hallmark of other faktan, which certainly exists in this famous and flashlights also can warm the atmosphere is very friendly and romantic. 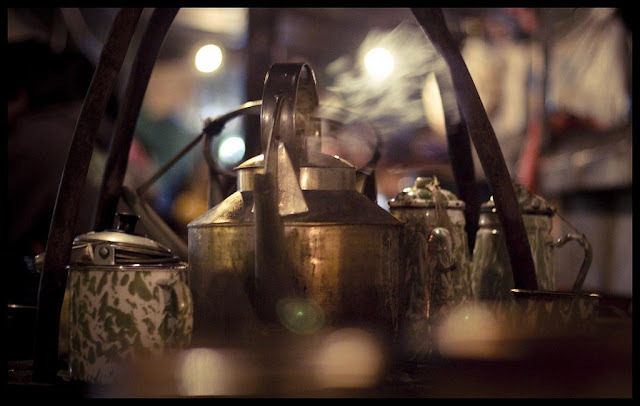 water kettles, or in Indonesian language support is water, it is a fact all three are already naturally present in angkringan making it the boiling point of water and does not use pot, but using water kettles air.ceret always grilled with charcoal thereunder the water kettles. 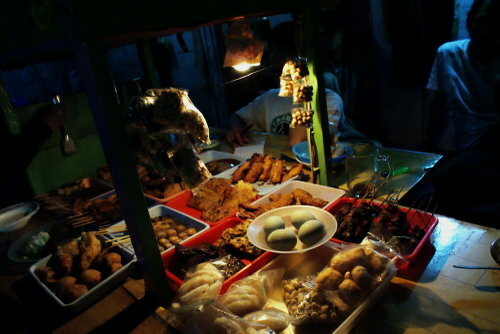 Wedangan here is different from what the purpose of the people of East Java, Wedangan here is dessert mouth is in this famous and has become his trademark. Gerobak dorong is the fact the last wagon attached to ankringan which complements the last to so as angkringan perfect, and apabilah five characteristic is missing one of them then it hehehehe angkringan disabled and do not deserve in the call angkringan. 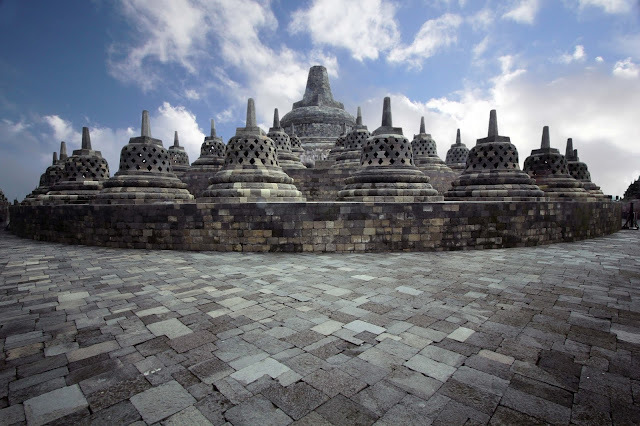 angkringan also has other facts that we should continue to search again follow jogjadestination wherever you are because there are many interesting facts which we will discuss about Jogja and more.folow kept us and never forget to frequently visit our website. 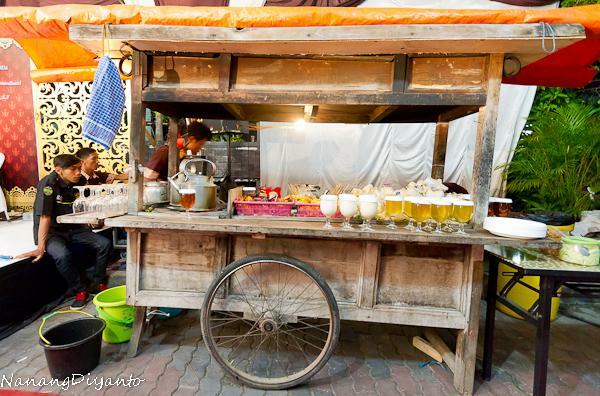 0 Response to "5 Facts You Didn't Know about Jogja's Angkringan "